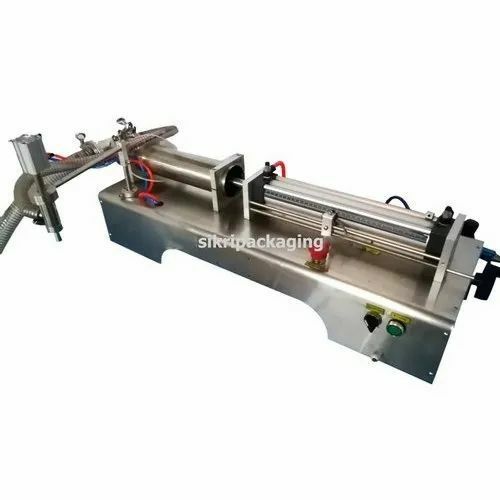 Pneumatically controlled Stainless Steel Semi Automatic Liquid Filling Machine. 1 ml to 100 ml and 100 ml to 1000 ml Dosing Capacity. Used for filling of Bottles, Jars, Bags etc.